CMS4i - Content Marketing Solutions for Impact | Web Applications, websites, social media management for manufacturing, sales agencies, distributors, consultants, healthcare and law. We're eager to speak with you about anything Web. We're a throw-back in customer service though. 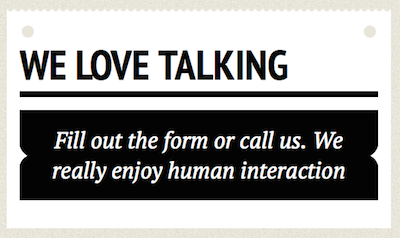 We like old fashioned human interaction, so expect a call back from us on the phone. Please fill out form below and a real person will contact you promptly!